On this page >> Some ways how you can help with Nepal earthquake relief 2015 (See below). UPDATE: A second quake hit Nepal today, May 12, 2015 registering 7.3 on the Richter scale. The images of Kathmandu after the 7.8 earthquake hit on Saturday morning, April 25, 2015 are all over the web and social media. Aid agencies, Christian churches in the region, and government agencies have already been rushing in aid, helping in search and rescue efforts, and beginning assessment towards long-term rebuilding efforts across Nepal and Northern India. News sources are reporting as many as 2,000+ deaths (over 700 in Kathmandu), climbers trapped up on Mount Everest (See story in Outside Magazine), and 19 people killed — five foreign climbers and 14 Nepalese Sherpa guides — when the quake caused an avalanche that hit part of the base camp, only one year after one of the most devastating avalanches killed 16 Sherpas working for climbers and National Geographic in 2014. (Sherpas have a much higher risk on Mount Everest than those that hire them.) Nine others were injured at that time, including three who required intensive-care. UPDATE: News on earthquake damage to Northern India – More here. UPDATE: As of Tuesday, Everest above base camp is now empty – All survivors have been rescued. The 2015 climbing season for Everest, Tibet, China, Annapura, etc. is now closed. Nothing is more heart-wrenching than seeing these pictures of people in need and sleeping in the streets afraid to re-enter homes, or now homeless, due to the earthquake. Good Neighbor Insurance is fortunate to serve many agencies and individuals who work around the world in these crisis situations and specifically, in Nepal/Northern India. 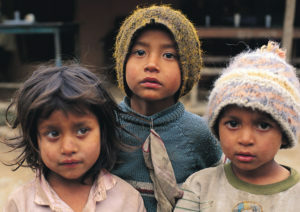 Hear recent report from Matt Davas of WorldVision/INF on the remote villages here on SoundCloud. Guidelines if you want to volunteer to help rebuild Kathmandu and Nepal or volunteer for relief and development in Nepal long-term or short-term. If you had travel plans to Nepal – Cancel them until further notice. The area has only one small airport and it is overcrowded/taxed with relief efforts and soldiers/government trying to get in and out. The infrastructure in Kathmandu has been massively hit and there’s a shortage of food, water, medicines and essential supplies. Use the internet: Google has set up a site for people to connect or request information – http://google.org/personfinder/2015-nepal-earthquake (Realize that at the moment connections, cell towers landlines, etc. are being restored and communication in remote areas of Nepal were already spotty at best. Learn what you can do at http://digitalhumanitarians.com/. Also check out http://micromappers.org/ to help with damage assessment in Nepal. Donate today. Here are some trusted groups and organizations that are on-the-ground with teams already in place that can use your help. Some are faith-based or christian organizations, some are governmental, some are strictly non-governmental organizations / NGOs registered in Nepal without religious affiliation. Stay informed. These news channels and groups seem to be publishing the most up-to-date news on the situation in Nepal. http://www.theguardian.com seems to have good reporting on the earthquake, the aftermath and rescue efforts. Reporting from remote areas is weakest due to remoteness and destruction to roads/paths. The Indian Ministry of External Affairs (MEA) has set-up a 24-hour helpline for information and help on the Nepal earthquake. The numbers are +91 11 2301 2113, +91 11 2301 4104 and +91 11 2301 7905. Audio on Sound cloud with Matt Darvas (World Vision/INF) and BBC/Nepal. Here is a link to news and damage assessment in Northern India. As always, social media channels, such as Twitter #NepalEarthquake, #Nepal), have better immediate coverage from the region. While many of the villages struck are not far away, poor roads and steep mountains make many of them, such as Lamjung, difficult to reach. Even before the quake, it could take six hours to drive from Kathmandu to these areas. Now, many of the few roads are believed to be cut off by small landslides. In Gorkha, the epicenter, no houses are left standing. A pastor friend of ours knows people from there – Their parents’ house is destroyed. Nathan Rieger, and some of Vineyard’s team were in Nepal for Mobile Bible School, and slept in that house two days before the quake. It gets very REAL when you know and love the people involved in this devastation. Here are some guidelines for volunteers going to Nepal – For your health and protection. Here are some things relief workers can do to make their trip to Nepal/Northern India healthier and more successful before even leaving home. By prevailing law in Nepal, you are not allowed to do volunteering on a tourist visa. In order to volunteer legally, the organization which will engage you must procure a permit and respective non-tourist visa. So ask before you travel with a non-profit, church, or on your own. Download the following travel medical apps – https://www.gninsurance.com/medical_apps_for_travel/ and check https://www.gninsurance.com/our-resource-hub/ as well. Get travel insurance. Even the most conscientious relief worker can become sick or injured. With the shortage of medical care in Nepal, the risk of injury or sickness, and likelihood of needing a medical evacuation for any emergency or injury is high. Even in ordinary circumstances, medical evacuation flights are expensive. especially from a remote area like Nepal, if outside the capitol. Emergency travel medical insurance coverage starts as low as $1-$2.00 a day and will guarantee you the care you need while protecting your assets from huge bills in case of an injury while volunteering. Consider your communication options. While the Kathmandu Valley was one of the highest areas for cyber cafes and internet connections – Services have been disrupted and overburdened due to the earthquake, outages, relief efforts and news reportage. Watch for physically unsafe conditions. Like all quake areas, the area around Kathmandu and throughout Nepal is now filled with dangers from rockslides, road outages, downed power lines, contaminated water and uncertain future aftershocks. 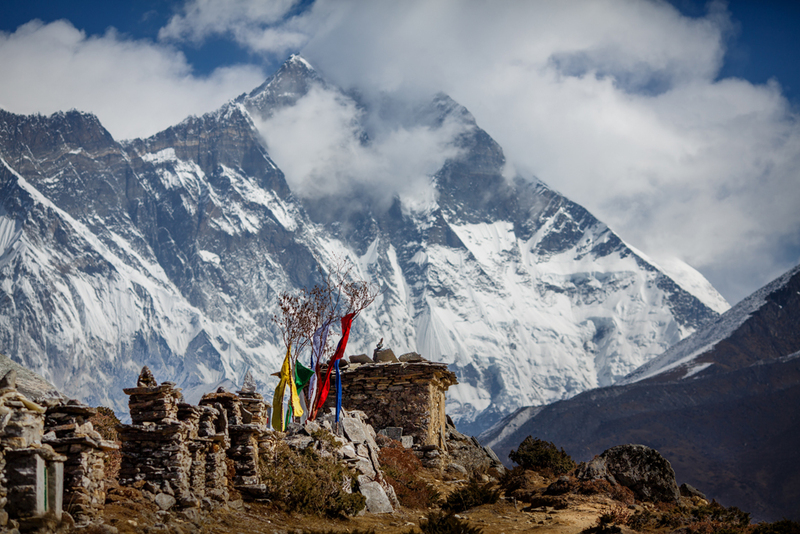 Nepal has mountainous terrain and shifting rock which adds to the danger. Leaks of natural gas, sewers, and fuel is also possible. Dead bodies still buried in the rubble can spread disease. Standing water can also be a risk. Also as with all earthquakes, there is no knowing when another aftershock will strike or how long they will continue. Eventually they should abate some, but the danger never goes away. Your job as a relief worker in Nepal may include using proper protective gear such as closed-toed shoes, work gloves, latex gloves and breathing masks. Check with your NGO about what to bring before you go. Also what accommodations you will be sleeping in since portable housing/semi-permanent tents are likely. Do you need to bring additional bedding/sleeping bag(s)? Eat and drink only safe food and water. Parasites live in standing water and risks of contamination are high in Nepal. Plans to take in clean water filters such as those made by Sawyer. Otherwise, drinking water needs to be bottled with the seal still intact, or it needs to be boiled for 20 minutes. Safe food is either well cooked or pre-packaged. Fruits and vegetables should be peeled at the time of consumption. If a knife or dish is used, it needs to have been washed in soap and drinking water. Water used for shaving and brushing teeth also needs to be filtered drinking water. Keep dirty hands away from your face. Always let others locally, and at home, know where you will be – Even reporting in multiple times a day with location, expected arrival time, route information, local contact information, etc. Travel/traffic in the region was dangerous before the earthquake. Traffic accidents are common and being hit by a vehicle is also a risk. Motorcycles and bicycles are not advised methods of transport. Anticipate daily power outages which happened even before the quake. Realize that cell service and data connections outside the Kathmandu Valley region are spotty at best. Make plans understanding that communications and disruptions in service even in the valley due to the earthquake and commonplace and to be expected. Good Neighbor Insurance is committed to protecting and encouraging relief workers all over the world. We have both extensive experience in the field and insurance plans to meet every need, incl. affordable rescue plans for those who already possess good international insurance. You can check out plans on this website or call us for specific recommendations for Nepal that can be purchased online and medical I.D. cards downloaded and printed with 24/7 access.